In the world of email marketing, the addresses you collect are a vital part of your business. Each one of those email addresses represents a potential new customer, and a simple and inexpensive way to reach for new business. In many cases it makes sense to reach beyond your existing list, adding new contacts and new potential clients as you go. One of the most popular ways to increase your reach is through a seed list. A seed list is simply an extra set of email addresses which is added to the mailing list you already use. The contacts in the seed list are added to the existing mailing list whether or not they match the criteria used to build the original list. In addition, the seed list typically includes your own address, as well as the addresses of other key people inside and outside your business. These decoy contacts allow business owners to track how their lists are being used. That in turn helps owners guard their lists against unauthorized use or resale. Seed lists carry a number of important advantages for smart marketers, and any business that uses email marketing should consider adding at least a few seed lists. One of the biggest advantages to a seed list is that it allows you to track the delivery time of your messages. Since you and other key members of your staff are on the list, you can easily see how long it takes for the marketing messages you send to arrive. You can also track the quality of the delivered message across a number of popular email platforms, making changes along the way to improve readability and response rates. The use of seed lists also provides important information to the people who monitor your various marketing campaigns. By including those members in the messages, you keep them informed about what is going on. This carries a number of important advantages, from better quality going forward to more engagement for your team. One of your employees might spot a typo or grammar mistake that you missed. Another member of your staff might come up with a great idea for a new marketing campaign. By using a seed list you can keep your staff informed and harness their creativity. 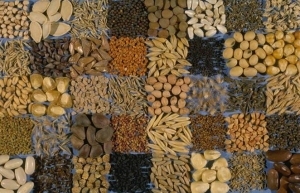 Some businesses also find it useful to exchange their seed lists with other organizations. This exchange can have the same impact as including your employees in your marketing messages, but the effect can be even greater. By allowing others to see – and comment on – your email marketing campaigns, you invite in new ideas and get fresh perspectives you could not have gotten otherwise. This type of exchange can be particularly effective in the non-profit world, where similar organizations can share ideas and comment on what worked – and did not work – in their own marketing campaigns. Seed lists are easy to create and just as easy to work with, so there is no reason not to include them in your marketing strategy. The easiest way to create a seed list is with a spreadsheet program. Simply enter the name and email address of those who have agreed to be part of your seed list, then ask your mailing firm to add your list to each project. Pretty soon you will be enjoying the many benefits a seed list can bring!